In addition to the largest collection of Washoe Indian baskets in the west, the Gatekeeper’s and Marion Steinbach Indian Basket Museum Store carries several historical books written by local authors. 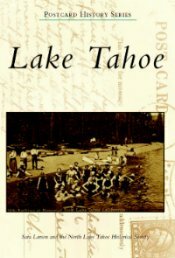 “Postcards of Lake Tahoe”, written by Sara Larson from the North Lake Tahoe Historical Society, is a compilation of vintage-photograph postcards that explore our past from the early days of Washoe settlements, to logging camps, to the extravagant resorts that dotted the shoreline. 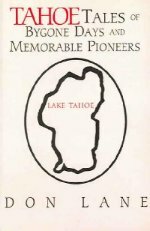 “Tahoe Tales of Bygone Days and Memorable Pioneers,” by Don Lane, USFS recreation supervisor at the LTBMU, is a compilation of Lane’s long running radio broadcasts which aired in the South Shore starting in the mid-1980s. Tahoe Tales includes 200 short stories selected by Lane from more than 2,000 radio broadcasts he voluntarily researched and wrote. Lane has lived in a Forest Service cabin at Nevada Beach for more than 30 years. While Don self-published his book, he is not concerned with making money. Instead, he wants to preserve all of the research he has done, and above all, share it with everyone. In addition to featuring books about Tahoe’s cultural heritage, the store also promotes local artists, other books written by local authors, and Washoe basketry. The store carries items related to their exhibits like Native American books, jewelry and baskets. All of the proceeds from the Museum Store go directly to support the museum. Gatekeeper’s Museum / Marion Steinbach Indian Basket Museum. Click here to learn more about the store and museum.